Planning to Startup? Want to Expand your Business Network? Looking for Investor Connects for a Fund raise? Wish to connect with budding startups? There’s no other place to be but at the 3rd TiE-Lufthansa Start-Up Expo. 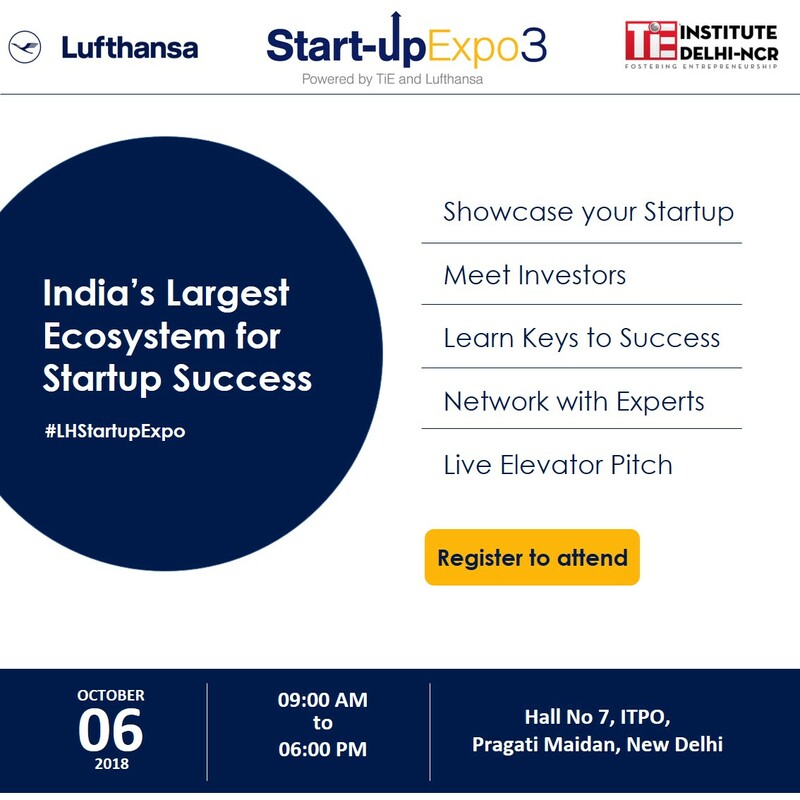 The Delhi- NCR chapter of The Indus Entrepreneurs (TiE) is rolling out the 3rd & the most colossal edition of its Start-Up Expo in association with Lufthansa airlines. Supported by SIDBI & StartupIndia. Meet the who’s who of entrepreneurship, over 20,000 delegates from 175 cities across India & over 100 investors, 500 renowned business experts & 500 innovative start-up exhibitors at the event. 1. Entry is Free: It’s the perfect set-up for some mentoring, networking & collaborating at NO FEE!